From one of the finest bass cabinet designers of the 21st Century comes a new range of lightweight cabinets using cutting edge Neodymium speaker technology coupled with advanced lightweight cabinet design. Using only the highest grade lightweight void free Baltic birch and precision built custom drivers, this new range of cabinets from Bergantino Audio are already another hugely popular addition from this established company. 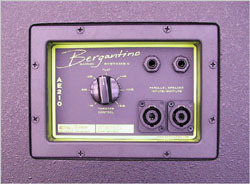 Bergantino CN210 - (List price £795) - in stock now! This is a redesigned version of the classic AE112, it retains the clean/smooth detailed highs, from the acclaimed HD tweeter and cross-over, plus tight, smooth mids and plenty of low end that defies it's size. 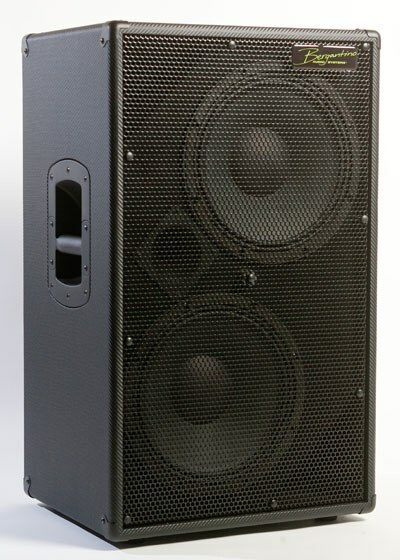 Add another CN112 for an amazing full size sounding rig that will fit in the boot of a small car and handle up to 1000W.. Perfect for all 4, 5 and 6+ stringed bass instruments. 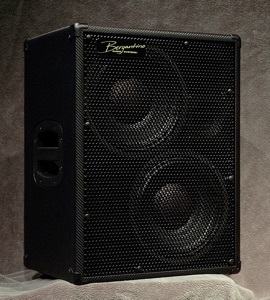 Based on the hugely successful AE212 this vertically oriented cabinet is designed as a one cab solution for those looking for a big sound in a compact cabinet. 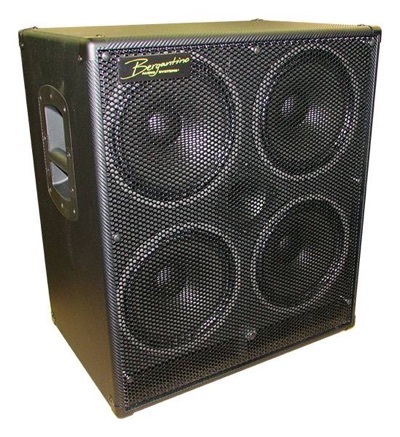 With sparkling high end details, plenty of smooth mid-range energy and deep low end the CN212 will deliver a huge sound in a relatively compact and easy to move cabinet. 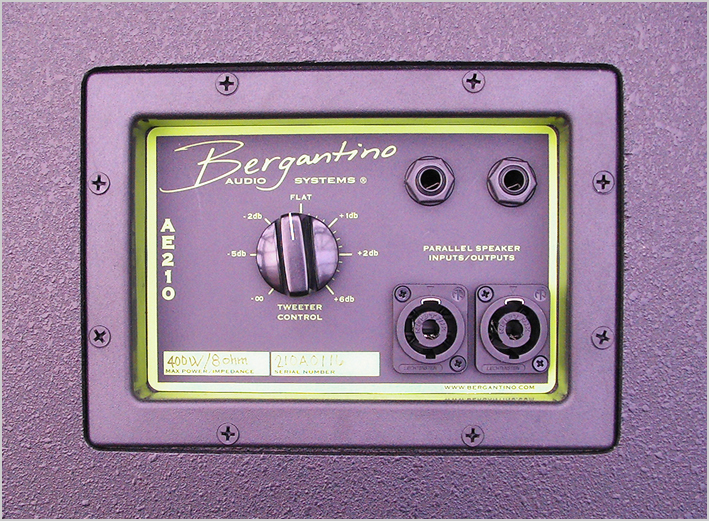 Utilising Bergantino's own custom drivers you can achieve effortless and controlled sound at any volume. 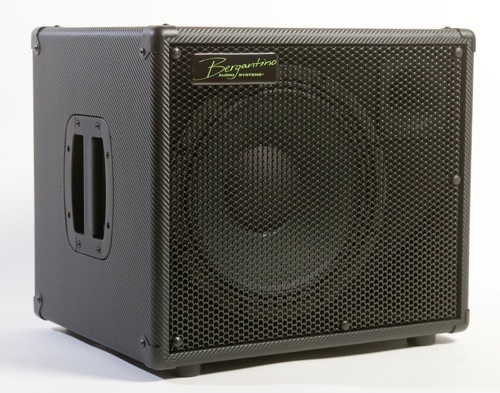 We suggest using a minimum of a 500w at 4Ω amp but this cab will thrive on amps of up to 1000w. Perfect for all 4, 5 and 6+ stringed bass instruments. The ultimate "one cab" solution. The (Carbon Neo) CN410 speaker cabinet uses a precision tuned cabinet architecture built with the finest lightweight poplar plywood to help reduce weight, but with a sturdy Baltic birch baffle to ensure a cohesive and powerful acoustic wave front. It’s finished in a carbon fiber tolex covering with a rigid black metal grille. Components include a custom designed phase-coherent crossover with a tweeter control, power handling of 800W RMS, frequency response of 44Hz to 12kHz and woofers with Neodymium magnet material which provide a full and punchy low-end with a very sweet midrange. A removable caster set is also included in the price. The CN410 has a very tight and focused sound with great note definition, clarity and presence from the low-mid through hi-mid frequencies. The lows are extremely tight and focused with highs that are clear without being brittle. When the horn is turned off, there is a more fundamental note, minus some string noise and dialing in the horn adds some string sound, and some added presence to the notes. The overall sound is very even across the frequency spectrum. I used the Genz Benz STM900 / Bergantino CN212 rig at a gig for the first time over the weekend and was extremely impressed with it. 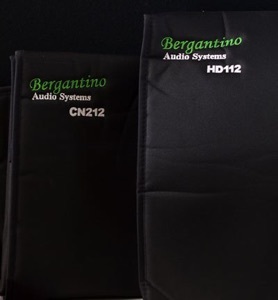 The combination of the old-skool warmth and punch of the Genz with the clean, modern tone of the CN212 brought the best out of every bass I used. My Nordy vJ5 sounded particularly good through it. Everything was balanced and even sounding – very much like listening to a post-mastered bass track from a studio recording. Plenty of headroom too. Absolutely wonderful!Thanks again. 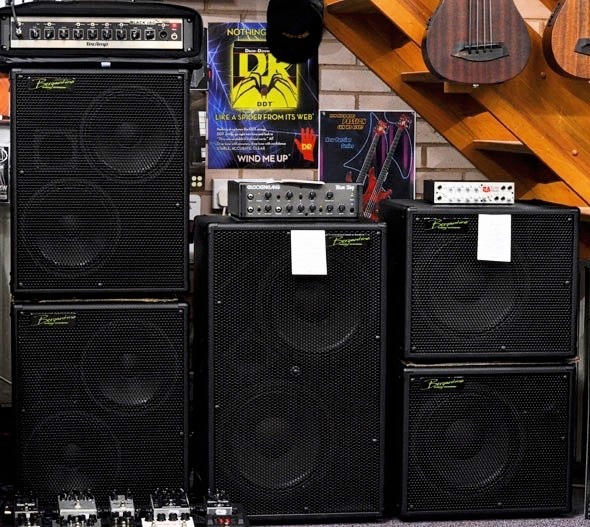 My main purpose of visiting bass direct was to purchase a bass amp and cab which would fit in my car. I had already done my research (with a few phone calls to Bass Direct) and decided what I wanted depending on the sound of the amp and Cab and that it would fit in my car. I brought along my own basses to try. Plugged it in; sounded great. I also tried another amp which didn't sound as natural to me. Once I was happy with the sound, we checked to make sure it would fit car. How many other shops would let you do that? I also use the Genz Benz Shuttle 9.2 with a Vox Cab, it gets the sound of the bass, compared to my old trace elliot (1990) which had a great sound, but made everything sound the same. One word of caution, an early gig on a racked stage, the amp started vibrating off the cab, so you may need to purchase a non-slip mat for a few quid. I'd be interested to see if Bergantino bring out a lightweight 4x10, that would be killer (if it fits in my boot). I had read many comments about the Auralex GRAMMA claiming it was the best £45 or so they had spent. Even in the shop a customer told me the same thing. All I can say is, my bass sound is very consistent from gig to gig now, where I would sometimes have a boomy sound caused by a hollow stage. My only regret, is that I didn't purchase a gig bag for it. It comes in a box with a handle but the cardboard has recently decided to split and the handle no longer works. the Bergantino is one exceptional cabinet. Haven't yet used it on a gig, but am very impressed with the quality and sound for such a small light box. P.S. Will see how it works out with one, and maybe purchase a second one from you in the near future.